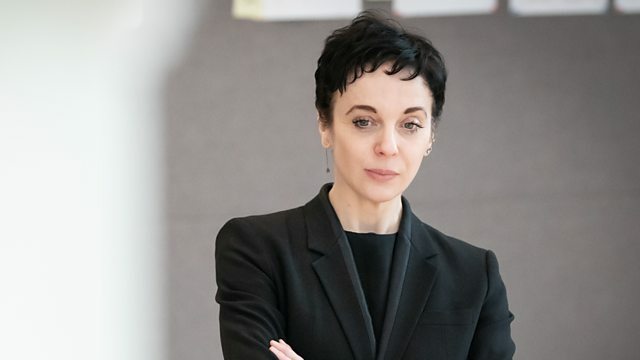 The actress Amanda Abbington, who's well-known for her part in Sherlock, is now in a harrowing new play about teenage depression. It's called The Son and has just opened at the Kiln Theatre in North London. It's about 16 year old Nicolas who is going through a difficult time after his parents’ divorce. He misses school, lies and self-harms. Amanda plays his mother and joins us in the studio. Also with us is Dr Bernadka Dubicka, Chair of the Faculty of Child and Adolescent Psychiatry from Royal College of Psychiatrists. She talks to us about some of the important themes in the play. We speak to Harriet Wistrich, the lawyer of Sally Challen, the woman in prison for killing her husband. Yesterday her murder conviction was quashed by the Court of Appeal. She now faces a retrial. Her lawyer wants her conviction downgraded to manslaughter because they say she was a victim of coercive control. Asma Khan calls herself a "house cook" but she's set up a central London restaurant which is completely run by women. Her rotas are made up of four hour shifts so her staff can combine work with family commitments. It just makes sense she says and helps women enter the workplace. Asma's new cookery book is a bestseller on Amazon. She joins us to talk about food, work and family. More ‘Bump, Birth and Beyond’. We catch up once more with our group of listeners who are telling us about their new babies. They're now one years old. We hear from the dads today, and one of the grannies, to find out how the new babies have affected their mental health. What does the Sally Challen case mean for women who kill their abusive husbands?